Life isn’t life without lightness. Nor is it complete without a little sweetness. 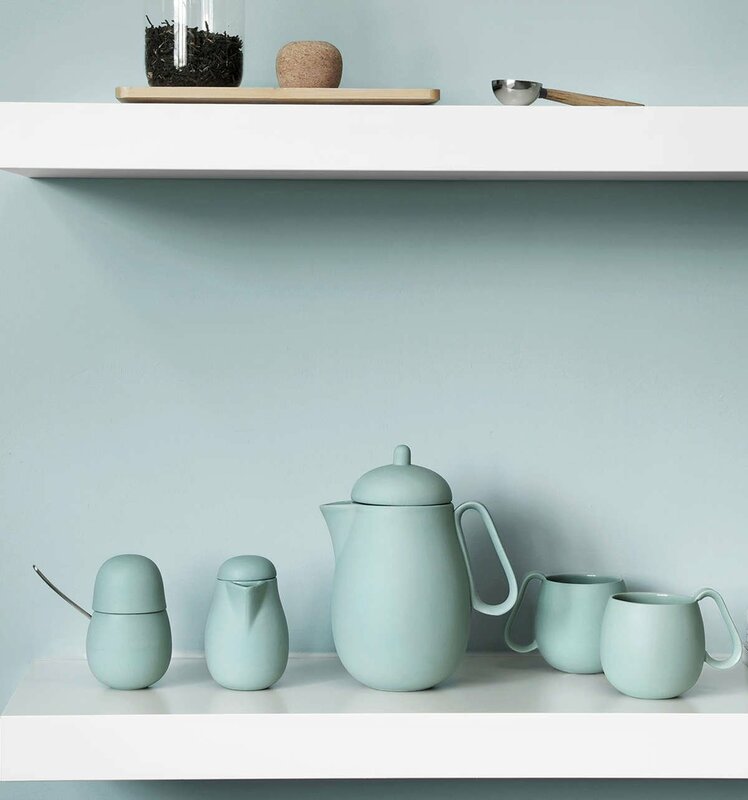 For both in one, the porcelain Nina Milk and Sugar set may be your perfect tea time companion. 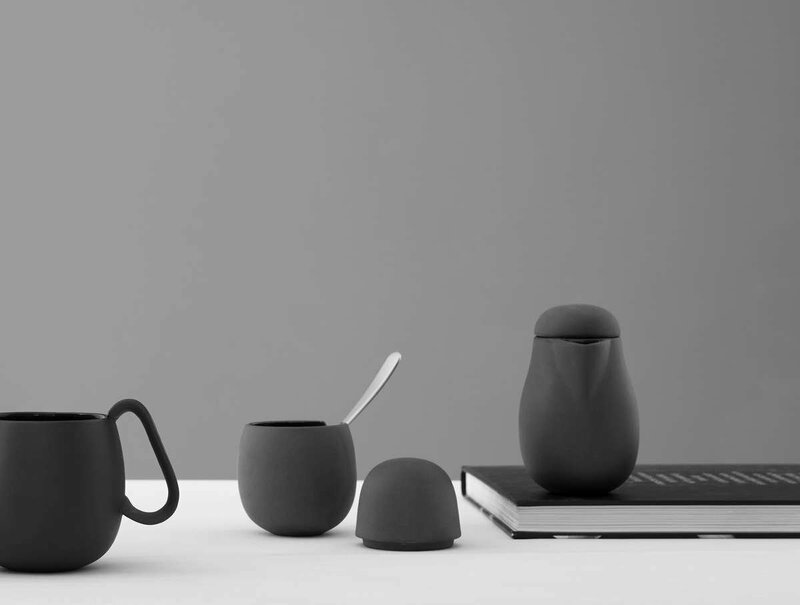 These smooth, organically shaped tea accessories will bring life to your tea. Size: Vol: 0.20 & 0.13 L / 6.50 & 4.0 fl. oz. How much milk can I fit in the tea jug? 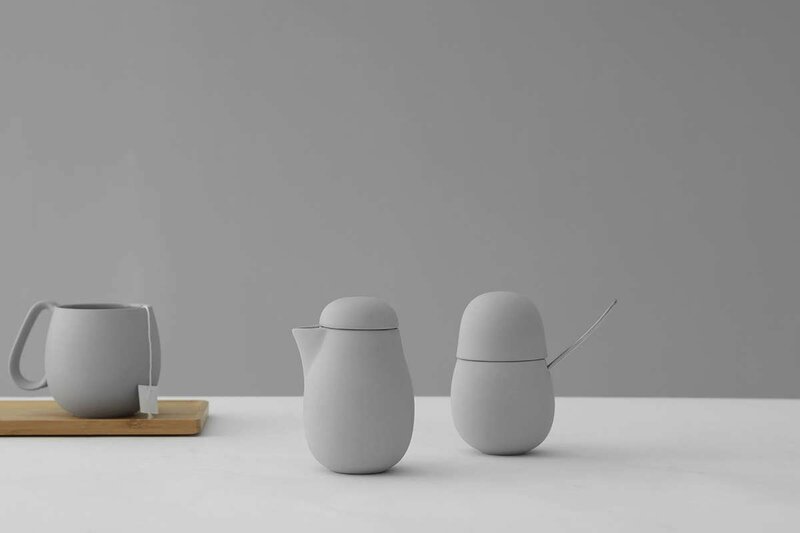 The Nina milk jug holds 200ml of milk. This is enough for 3-4 cups of tea, depending on how milky you or your guests like their tea. What are the best teas to enjoy with milk and sugar? At the end of the day, you should drink tea however you enjoy it. If you want to add milk to herbal tea - we’re not going to judge! Typically, milk and sugar go with black teas like Earl Grey, English Breakfast and Chai. Heavy teas like Assam also benefit from a little lightness now and then. Sweet mint teas with sugar are a special treat worth exploring. All the items in the Nina range have a lovely textural finish. Along with their playful shapes and effortless scandinavian style, this texture makes the Nina range as unique as you are. Can I use these accessories for anything other than milk and sugar? Sure! Why not use the sugar bowl to store loose leaf tea instead? The milk jug makes a great pot for watercolour brushes in a pinch. Get creative! Does the sugar bowl come with a spoon? The sugar bowl does not come with a spoon. Using your own spoon is the best way to ensure the Nina milk and sugar set look right at home among the rest of your tableware.